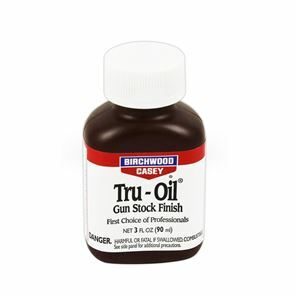 Birchwood Casey Tru-Oil is a gunstock finishingh oil made in the USA. Tru-Oil can also be used to finishe guitarnecks and bodies. Tru-Oil is easy to apply with a cloth, dries hard and does not crack, cloud or yellow with age. You can use steelwool to polish between the layers and the final layer to a nice sheen. 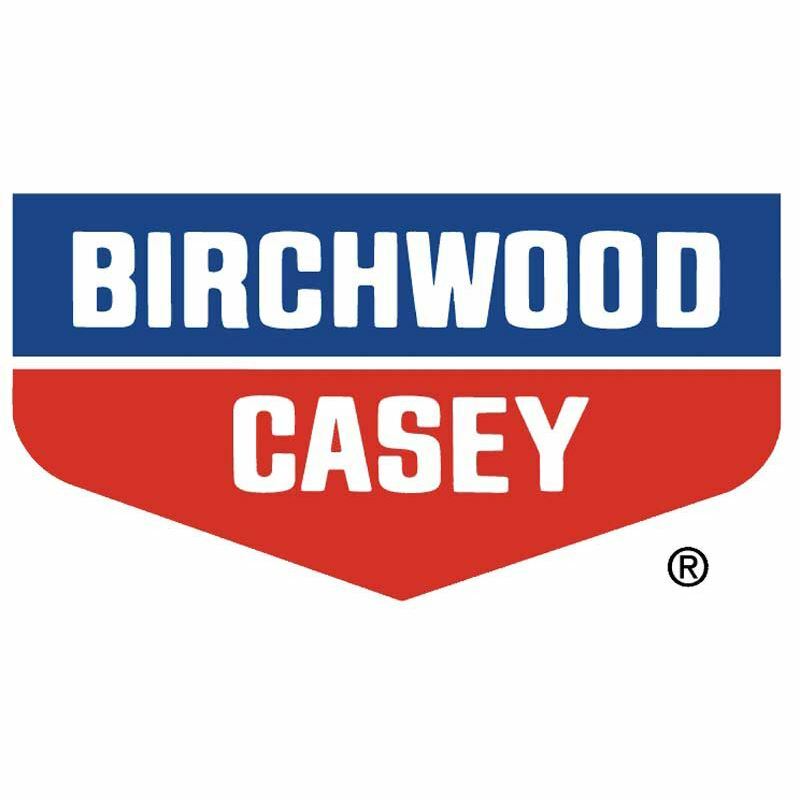 Birchwood Casey advises a drying time of up to 24 hours between layers depending on conditions. GuitarSupplies stocks Tru-Oil in 90ml, 240ml and 960ml packages. 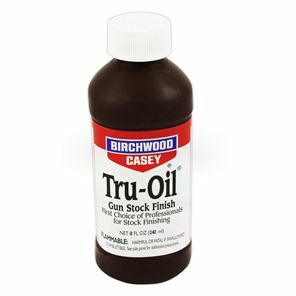 Birchwood Casey Tru-Oil in a 8 OZ (240ml) bottle. 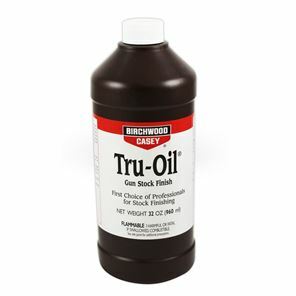 Birchwood Casey Tru-Oil in a large 32 OZ (960ml) bottle.